Finding the right online college can be a difficult endeavor. Certain online colleges are better suited for specific study types than others. Online courses may have short time limits or the online college may allow students months to complete them. Some prefer an online college course that has a high amount of teacher and student interaction, while others prefer more self-paced studies. What's most important is to find a reputable accredited school that will ensure an online college degree is valid and helps graduates advance their careers. To help potential students looking to earn an online college degree, MyCollegesAndCareer.com has 10 online colleges that are worth looking into. Kaplan was founded in 1937 as the American Institute of Commerce, and currently provides online education options for children and adults. They have more than 3,000 faculty members and more than 60,000 students. They also have physical locations throughout the United States. Kaplan also has many financial aid programs and scholarships for students who may have trouble financing their studies. Strayer University specializes in education for adults seeking career advancement and has more than 54,000 students and more than 80 campus locations. The average age of a Strayer student is 34 and most have full time jobs. Strayer University was founded in 1892 as Strayer College. Like many colleges, Strayer, like most other online schools, offers financial aid; they also provide discounts for military veterans and provide counseling and advice on the requirements and regulations for veteran's benefits. Liberty University is a Christian university founded in 1971 founded by noted evangelist Jerry Falwell sr. They offer more than 40 accredited degree programs and 90 specializations. They have more than 47,000 students in their online program and have degrees ranging from associate's to doctorate degrees. Founded in 1970 in Switzerland, American Intercontinental University has a long history of providing degrees recognized by the US to those abroad. Today they continue that tradition by providing distance learning online. They currently have more than 27,000 students and offer associate's, bachelor's and master's degrees. They also have on campus locations throughout the United States of America and a campus in London, England. Founded in 1918, Ashford University is a liberal arts institution offering associate's, bachelor's, and master's degrees. They currently have more than 25,000 students. They offer classes that last 5-6 weeks, and students may only take one class at a time, and they encourage students who are looking for a place to transfer their credits and finish their degrees to enroll with Ashford. Colorado Technical University is focused on degrees based on industry-current degrees, meaning most of their degrees involve a level of skill development and training for specific industries. Founded in 1965, the university currently has more than 25,000 students. They offer associate's, bachelor's, and master's degrees online. Argosy University was formed in 2001 by merging the American School of Professional Psychology, the University of Sarasota, and the Medical Institute of Minnesota. Argosy University has 19 campus locations across the US, and there are more than 18,000 students enrolled, mostly in post-graduate degree programs. Westwood College has 17 campuses across the United States, and offer more than 25 programs. Since it was founded in 1986, there have been more than 24,000 students who have graduated from Westwood College. Westwood is “career-focused,” meaning that degrees are often tailored to specific careers and the degree programs focus on developing practical skills related to those positions. Everest is an education network, with many campuses throughout the United States and Canada. Online courses are offered in accounting, business, computer information, criminal justice, medical billing, and paralegal degrees. Everest offers the ease of online education with the support of campus locations throughout the United States. 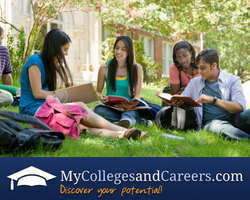 MyCollegesandCareers.com helps students connect with the best schools available to earn their college degree and embark on a rewarding career! A powerful resource for individuals who have full-time jobs or family responsibilities, My Colleges and Careers connects people with the programs that help them to earn their degree online.